A case study on Children’s Hospital & Medical Center in Omaha, Nebraska, found that telemedicine follow-up care reduced no-show follow-up visit rates by 50%. Before implementing telemedicine, Children’s Omaha was seeing patients drive three hours for a 20-minute follow-up session, meaning patients were spending more time driving than receiving care. In states like Nebraska, where less than 20% of psychiatrists practice outside of the major metropolitan areas, much of the population does not have access to local psychiatric services. This means that even if patients can afford to make a trip to a practicing psychiatrist for initial treatment, they will face substantial impediment to return for follow-up care. Telemedicine follow-up care, like the care provided by Dr. Jennifer McWilliams of Children’s Omaha, brings remote psychiatric services to places where they are otherwise unavailable. Patients can access qualified psychiatric services via video at an affiliated local facility, allowing them to remain close to home while they receive both initial and follow-up care. For more information on how telehealth improved follow-up telepsychiatry care, read the full case study here. Nemours Children’s Health System, an internationally recognized children’s health system, operates a pediatric multidisciplinary obesity clinic in Wilmington, Delaware, which is comprised of psychologists, dieticians and clinicians. The clinic treats children from all over the state, many of whom must drive long distances to get care. 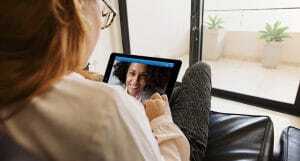 To ease the burden of travel on these patients and their families, Nemours began offering telemedicine follow-up care. 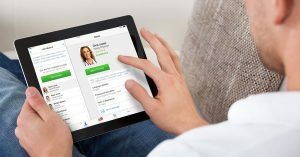 After they began offering follow-up visits via telehealth, Nemours ran a survey to gauge patient and family satisfaction and found that 90% of patients and their families were “very satisfied” and 10% were “satisfied” with the care received via telehealth. Due to the success of this initiative, Nemours has since expanded telemedicine follow-up care to non-Nemours primary care offices. 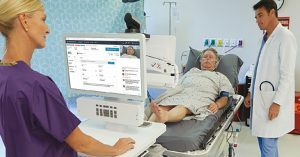 For more on Nemours comprehensive telemedicine program and its use cases, read the full case study here. For more information on how telehealth is improving care delivery, visit our Telehealth Resource Center.